Many voices promote renewable energy and energy efficiency policy, but the faith community speaks uniquely with a moral authority that draws from religious values to be good stewards of creation and ensures the earth’s blessings to the poor, the vulnerable, and all succeeding generations. 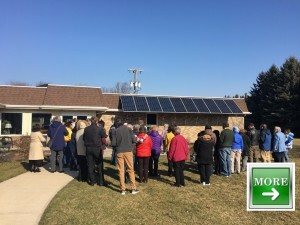 A continuing strong religious voice in the debate about Ohio’s clean energy and energy efficiency standards and the federal Clean Power Plan, utilizing many levels of engagement such as letter writing, faith-based testimony at public hearings, press events, legislator visits, and online campaigns. For State Initiatives, click here. For Federal Initiatives, click here.